This little girl right here is officially 5. And we’ve had almost that many parties to celebrate this momentous occasion. 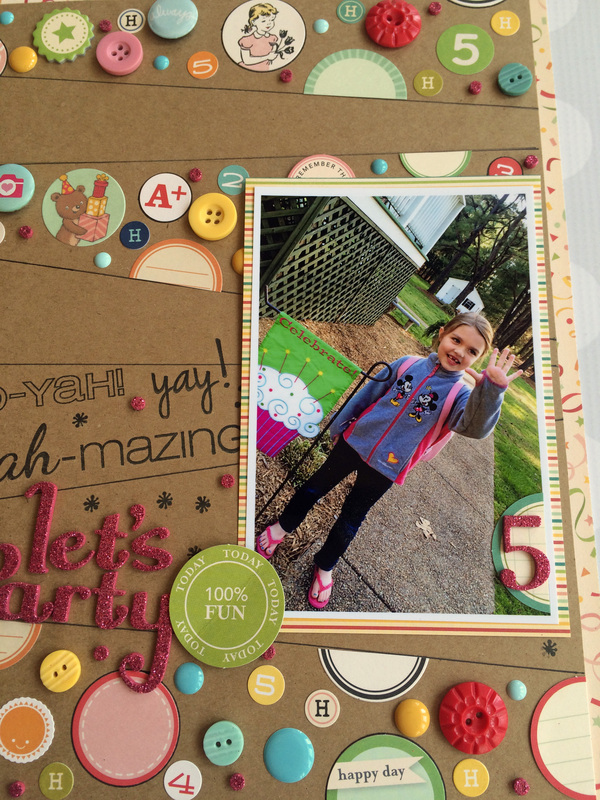 I absolutely love this layout of Hartly heading to school on her party day. 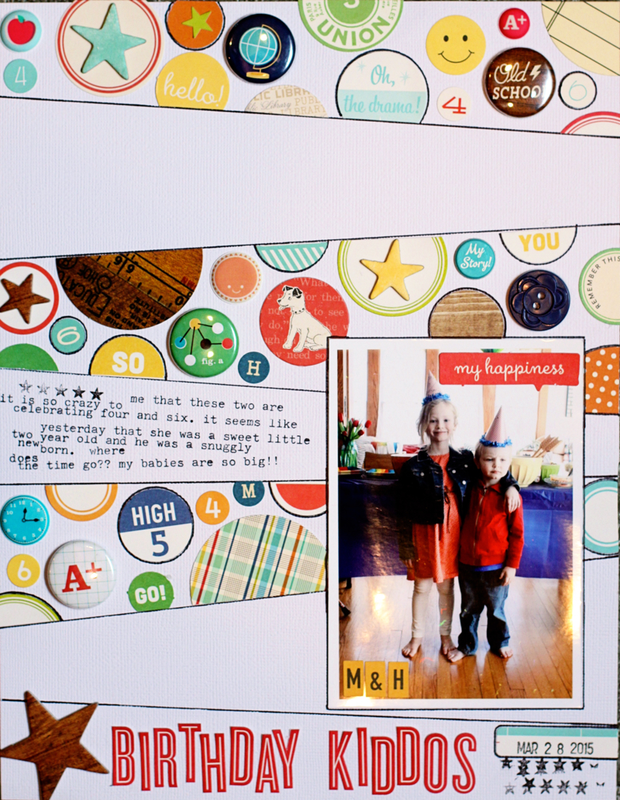 It’s a total copy cat of Emily’s layout on the October Afternoon blog. As soon as I saw her layout I knew I would be making one of my own. 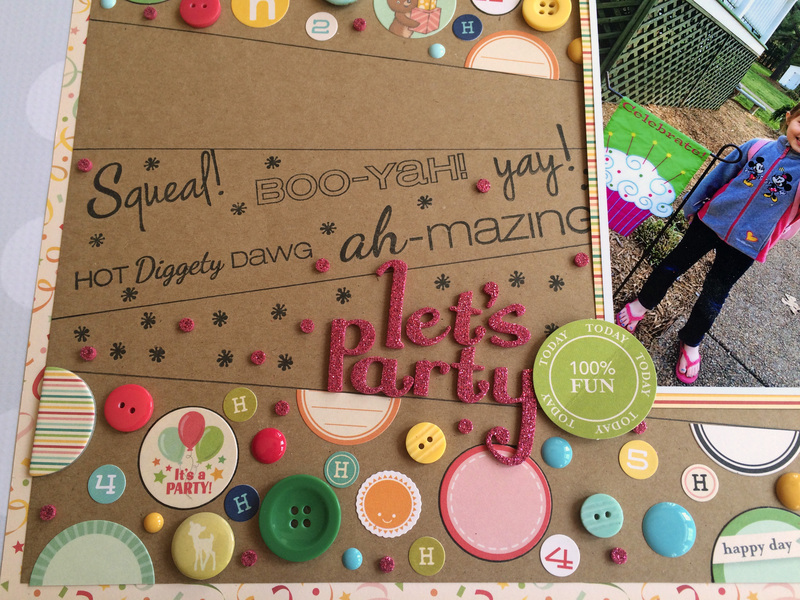 I even started a Copy Cat Challenge for the Cricut Circle Message Board Stashing Into Spring Group. I chose to use several stamps to create my so-called journaling and moved my title up a section. And of course, I trimmed my main kraft sheet and added a second base layer. Even when copying someone else’s work a girl’s got to stick to her normal practices. He he. I can’t believe how much fun I had digging through my stash and using an awful lot of it on this Circles Galore layout. Almost as much fun as Hartly had at her school party I bet. You rocked the copy! I think the picture is the cutest!